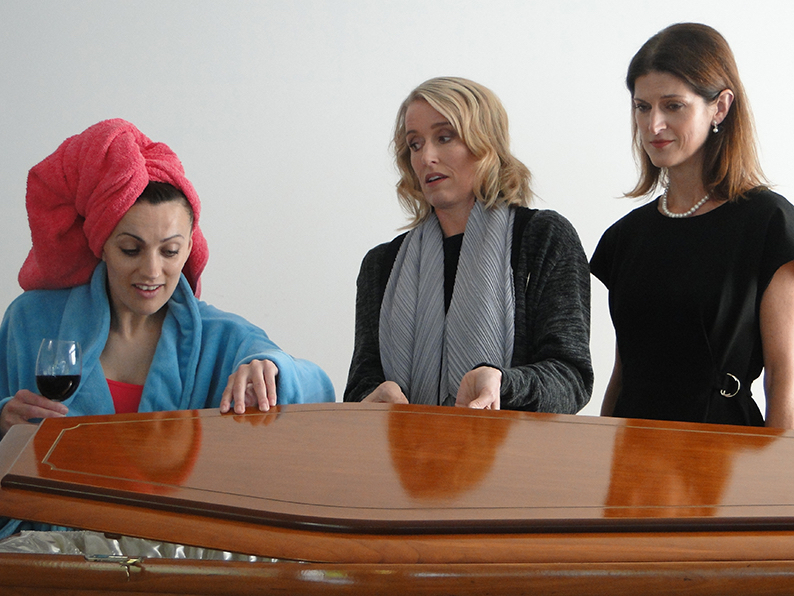 The MEMORY OF WATER revolves around a funeral with the chief mourners being 3 eccentric sisters with little in common, each rooted in their own vulnerabilities – the unhealthy legacies of their childhood from their mother they’ve come to bury. The 2 men in attendance – 1 married; 1 lover – try helplessly to keep things on track in this rapid-fire comedy. A GHOST STORY? NOT REALLY! A tragedy? Yes, in that all daughters and mothers who fail to successfully navigate the troubling shores of love and antagonism also tend to fail to develop healthy connections in love or otherwise. A COMEDY? DEFINITELY! Laughter is as much a guest at this funeral as grief.